Winter Book Sale on now! If you love a bargain and love music or literature, you won’t want to miss our Winter book sale! Thousands of avid readers and music lovers have used our book sales to find the best book deals, to complete their personal collections or just to rummage and find a gem. And the sale helps the library by making room for its ever increasing collection. Stock including books, CDs, magazines and journals on every topic imaginable is replenished at regular intervals during the sale ensuring there are always fresh bargains to be found. Prices start from 50 cents for magazines, with most other items between $1 and $6 and some marked prices. The Book Sale starts Wednesday 3rd June, 9.30am at Wellington Central Library, 65 Victoria Street. Every year thousands of avid readers and music lovers gather at Central Library for the December book sale. Judging by its past popularity, this sale should be no different. Past buyers have used the sale to find the best book deals, to complete their personal collections or just to rummage and find a gem. And the sale helps our libraries by making room for an ever increasing collection. Highlights of this sale: a great range of children’s books, adult fiction books, along with the usual range of non-fiction, DVDs, CDs and magazines on every topic imaginable. As at each previous sale, stock is replenished at regular intervals ensuring there are always fresh bargains to be found. 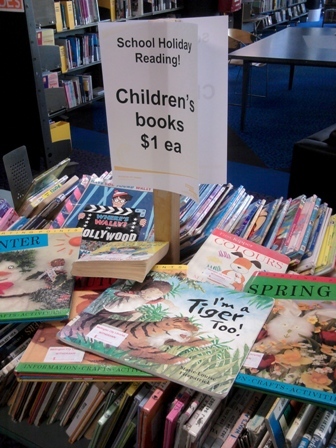 And they really are bargains – prices start from 50 cents for magazines, adult fiction, and young adult/teens books with most other items between $1 and $6 and some marked prices for quality non-fiction. If you love a bargain, you won’t want to miss it. 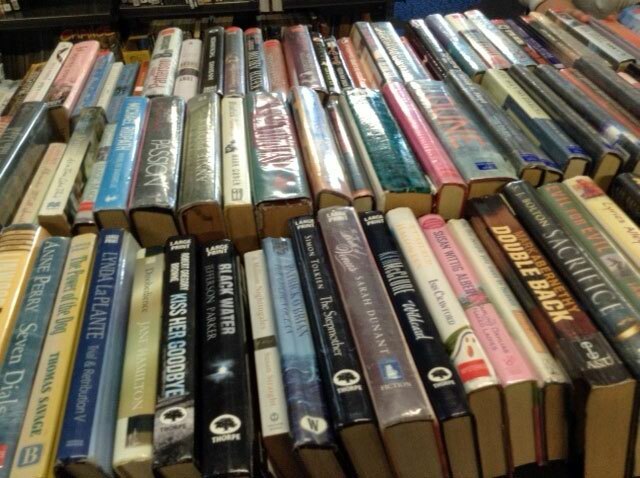 The book sale starts Tuesday 2 December at 9.30am, Central Library. Plenty of great bargains at the December book sale! Highlights of this sale: a great range of computer books, loads of entertaining DVDs, ALL adult fiction books at just 50c each, along with the usual range of non-fiction books, CDs and magazines on every topic imaginable. As at each previous sale, stock is replenished at regular intervals ensuring there are always fresh bargains to be found. And they really are bargains – prices start from 50 cents for magazines, adult fiction, and young adult/teens books with most other items between $1 and $6 and some marked prices. If you love a bargain, you won’t want to miss it. 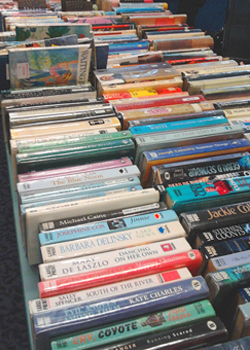 The book sale starts Tuesday 3 December, at 9.30am, Central Library. Look what’s popped up in Wellington Central Library. There are two book sale tables with goodies galore. We have a selection of adult fiction (including; Sci-Fi’s, Mysteries, Romances, and General Fiction) going at just 50c each or three for $1. Hurry into Central Library to bag a bargain for the Easter weekend! We’ve got a pop-up book sale running on the Ground Floor – two tables of Children’s, YA, Fiction, Biographies and Large Print all at just $1 each. If you can’t make it in today to get your long weekend reading fix, we’re open on Saturday from 9:30am – 5pm. The sale tables will be out until the middle of next week. Keep your nose in a good book, your mouth full of some good chocolate and enjoy the break! Our pop-up booksale has now finished. Thanks to all who visited! 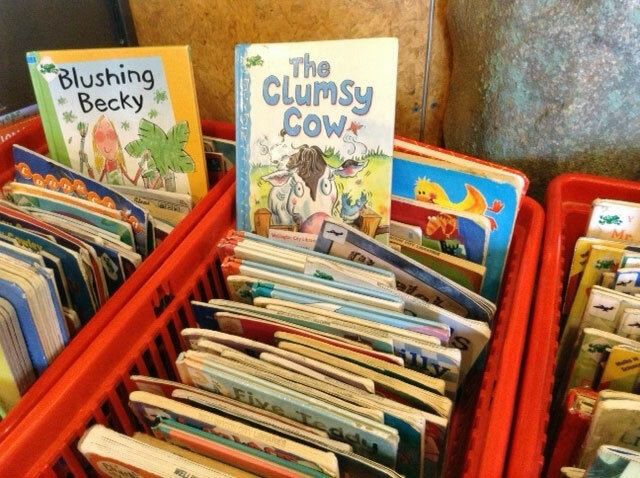 Children’s booksale on this weekend! Head down to the Central Library this weekend and stock up on Children’s books for the school holidays. Our sales table includes Picture Books, Fiction books and Non-Fiction Books for kids up to 12 years old and they’re only $1 each! You have three days only (starting today) to make the most of our sale. It’s never too late to come and have a look as we’ll have new stock on sale regularly throughout the weekend. Our Saturday morning storytime at Central is the ideal opportunity to bring your kids along and choose a few books together! Plenty of bargains at the Wellington City Libraries’ booksale! Every year thousands of avid readers and music lovers gather at Wellington Central Library for the end of year book sale. And judging by its past popularity, this sale should be no different. Past buyers have used the sale to find the best book deals, to complete their personal collections or just to rummage and find a gem. And the sale helps our libraries by making room for an ever increasing collection. The sale includes books, CDs, cassettes, DVD, magazines and journals on every topic imaginable. Stock is replenished at regular intervals during the sale ensuring there are always fresh bargains to be found. And they really are bargains – prices start from 50 cents for magazines, with most other items between $1 and $6 and some marked prices. If you love a bargain, you won’t want to miss it. Book sale starts Tuesday 7 December, 9.30am. Give the gift of Library for Christmas! Christmas is getting closer and closer and you may still be wondering what present to get for family or friends. If you want to purchase affordable and useful gifts, look no further than your local libraries! We have nifty pressies you can get for book worms and library users: our Concession Cards ! These are available for Bestsellers books, Reserves, and Magazines (excluding Bestsellers magazines). You can purchase them at our libraries for less than $30 each. Also, our annual Summer Book Sale is taking place until the 21st of December at Central, so pop in and see what bargains you can get. These will make nice Christmas presents for your loved ones (or yourself), and provide some good summer reading! Every year thousands of avid readers and music lovers gather at Wellington Central Library for the Christmas book sale. And judging by its past popularity, this sale should be no different. Past buyers have used the sale to find the best book deals, to complete their personal collections or just to rummage and find a gem. And the sale helps the library by making room for its ever increasing collection. The sale includes books, CDs, magazines and journals on every topic imaginable. Stock is replenished at regular intervals during the sale ensuring there are always fresh bargains to be found. And they really are bargains – prices start from 50 cents for magazines, with most other items between $1 and $6 and some marked prices. If you love a bargain and love music or literature, you won’t want to miss it. The Book Sale starts tomorrow: Tuesday 8 December, 9.30am at Wellington Central Library, 65 Victoria Street. Every year thousands of avid readers and music lovers gather at Wellington Central Library for the Winter book sale. And judging by its past popularity, this sale should be no different. Past buyers have used the sale to find the best book deals, to complete their personal collections or just to rummage and find a gem. And the sale helps the library by making room for its ever increasing collection. The Book Sale starts Tuesday 12 May, 9.30am at Wellington Central Library, 65 Victoria Street.